Good battles evil, and the world hangs in the balance! Resurrected by the Shroud of Turin, the zombified Dr. Jameson intends to finish what he started 150 years ago: destroying the earth with a giant space eel. 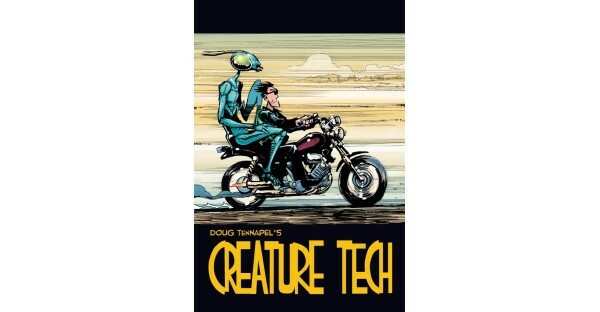 Standing in his way is Dr. Ong, a would-be pastor-turned-scientist who now works in a government research facility infamously known as “Creature Tech.” Aided by an unlikely cast of rednecks, symbiotic aliens, and a CIA-trained mantid, Dr. Ong embarks on a journey of faith, love, and self-discovery. All in a day’s work at Creature Tech!